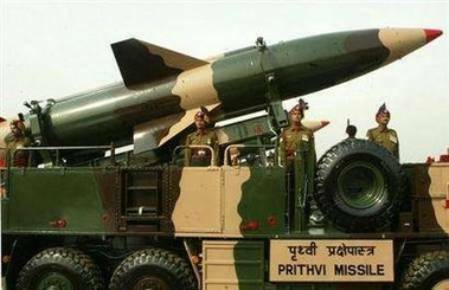 The Prithvi-I is a short-range, road-mobile, liquid-propellant ballistic missile. India developed the missile with assistance. The motor and the guidance system are based on the Soviet surface-to-air missile (SAM) product line. 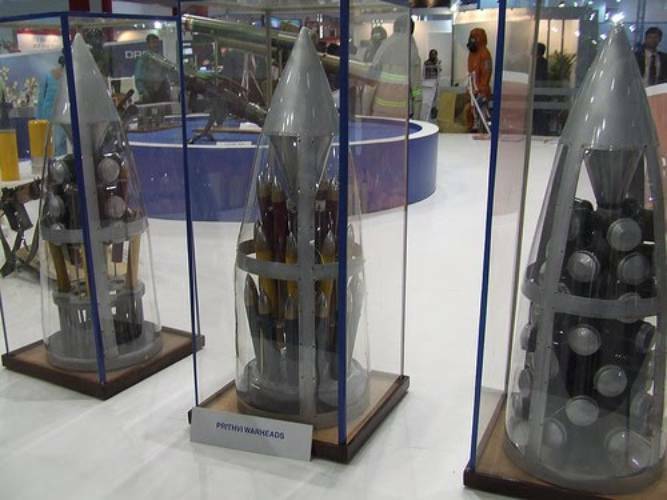 They were already components of the canceled Indian SAM "Devil"program. 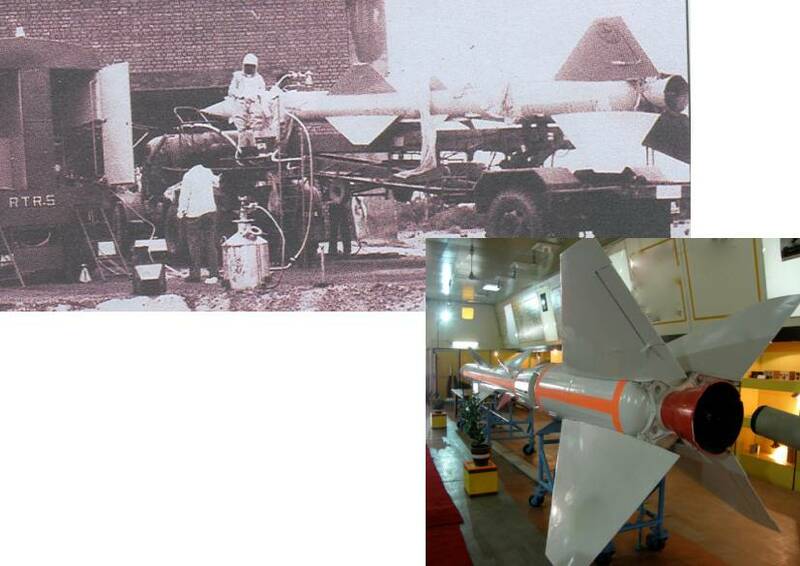 The “Devil” missile was developed by India in the 1970s. The goal of Project “Devil” was to produce a short-range surface-to-air missile through reverse engineering of a Soviet Union high-altitude, command guided, surface-to-air missile. The project was overseen by the Defense Research & Development Laboratory (DRDL) of India. 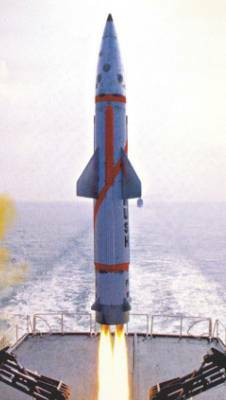 The model for Project “Devil” was the SA-2 Guideline, a Soviet Union missile which the DLDR intended to reverse engineer. Project “Devil” was officially launched in January 1972. DLDR subcontracted some of its labor, hiring the Hindustan Aeronautics Limited and Bharat Heavy Plates & Vessels Limited to cast a 350kg magnesium liquid-fuel engine frame and a solid-booster respectively. 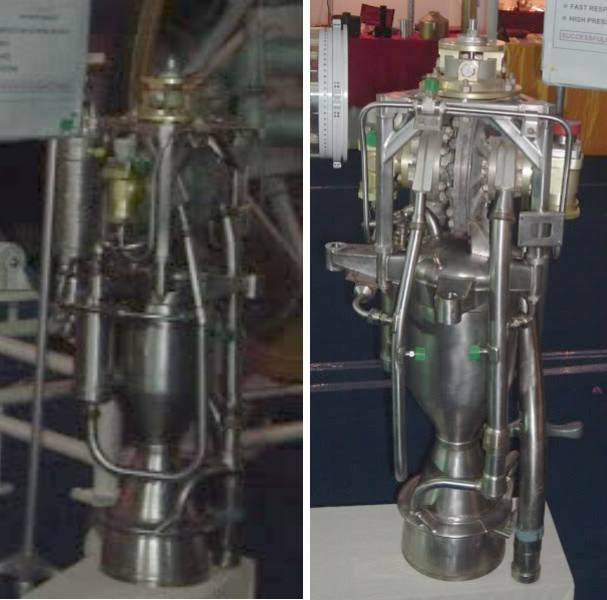 In January 1975, the Indian Space Research Organisation was appointed to run an external review of Project “Devil” and in March 1975 found it had been successful in several areas, if not in liquid propulsion, and should be permitted to continue. It ran for several more years before being completely discontinued in 1980, by which point DRDL had produced several components for Devil, including a solid rocket booster with high-strength steel casings and a specific impulse of 200 seconds, and a second stage three-ton liquid-propellant engine, fueled by TG-fuel (a combination of Xylidiene and Tri-ethylamine), oxidized by inhibited red-fuming Nitric Acid and Di-nitrogen Tetroxide. 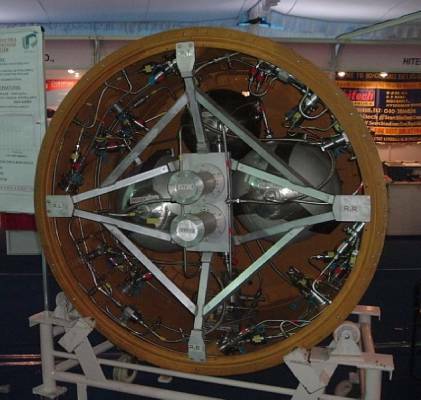 The Devil components were later subsequently modified and utilized as components in other systems, for example for the Prithvi missile developed in the 1980s. 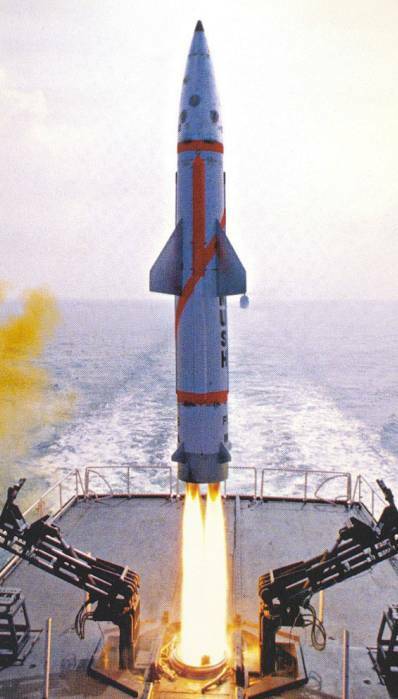 India began developing the Prithvi-I in 1983. 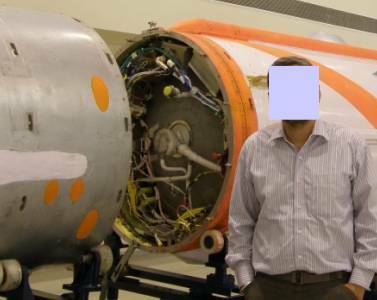 The missile is 8.5 m long, 1.1 m in diameter. Its body is made from aluminum alloy and its wings are made from magnesium. There are four clipped-tip delta wings at mid-body and four small aerodynamic control fins at the rear. 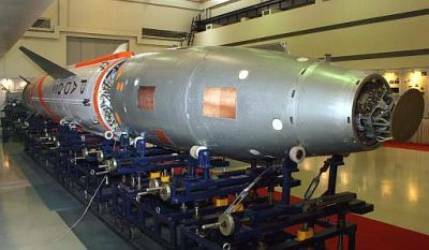 Prithvi is a single-stage missile with a liquid-propellant engine, made by the Soviet KB Isayev (derivative of S2.711V engine). It used two motors side-by-side that provide aerodynamic control as well as thrust vectoring. The thrust (app. 2x 35 kN) enabling a variable total impulse to be programmed for different payload and range requirements. The rocket-propellant is most likely TG-02/AK-20F, according to the origin of the engine. The missile has a maximum range of 150 km. 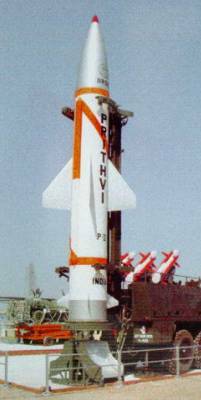 The Prithvi-I first test flight was in 1988 and it officially entered service in 1994. The Prithvi-II is similar to the Prithvi-I in many ways, However, with extended tanks for more fuel. 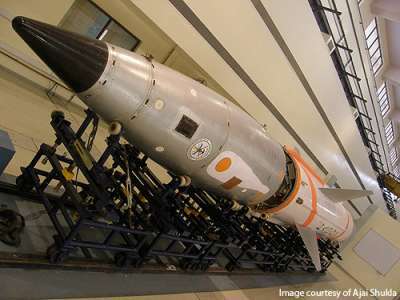 India first tested the Prithvi-II in 1996. In its current configuration, the missile is 9.4 m long and 1.1 m in diameter, and weighs 4,500 kg. 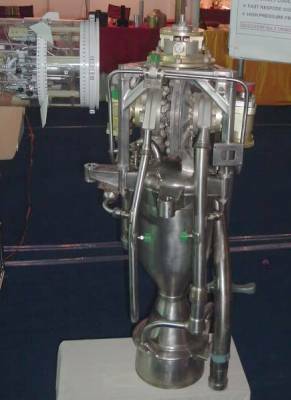 It uses the same two liquid-propellant engines as the Prithvi-I, however an improved liquid-propellant (TG-02/AK-27I ?) over its predecessor. The engine control allows the missile to stop climbing when it reaches an altitude of 30 km, travel horizontally at this altitude, and dive on its target at an 80° angle. In 2002 management of the Prithvi-II was shifted from the Indian Air Force to the Indian Army and also to the Indian Navy. The naval variant is called "Dhanush". 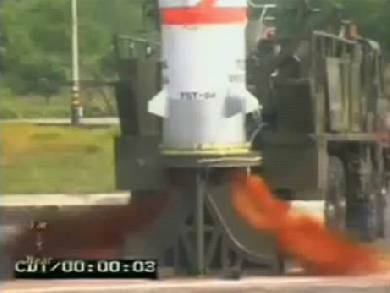 The missile has a maximum range of 250 km. 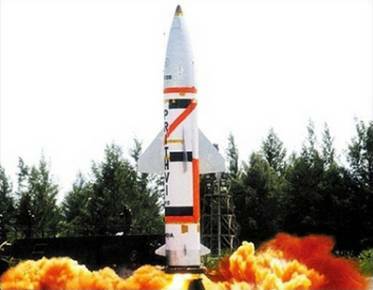 Development tests on the Prithvi-II began in 1992. Regular production began around 2002. 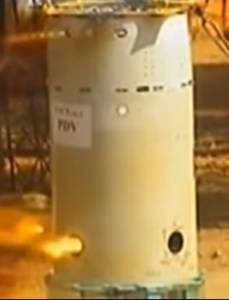 The Prithvi-II SRBM is used as target-object for the tests (ground based vehicles called TGT). 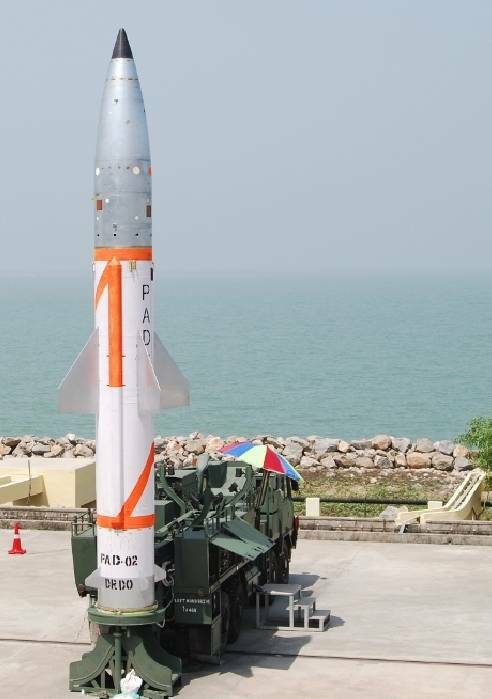 The naval target version is called "Dhanush"
The Prithvi Air Defence (PAD) is an anti-ballistic missile developed to intercept incoming ballistic missiles outside of the atmosphere (exo-atmospheric). 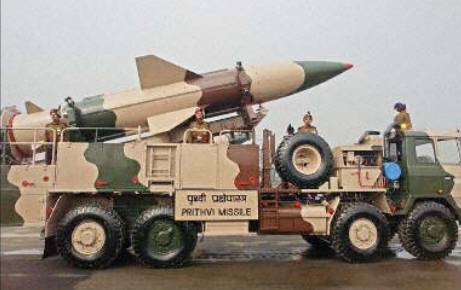 Based on the Prithvi missile, PAD is a two stage missile with a maximum interception altitude of 80 km. The missile is 10.0 m long, 1.1 m in diameter, and weighs 4,958 kg. The first stage is a liquid fuelled motor while the second stage is solid fuelled. It has maneuver gas-thrusters which can generate a lateral acceleration. Guidance is provided by an intertial navigation system with mid-course updates from LRTR and active radar homing in the terminal phase. PAD has capability to engage the 300 to 2,000 km class of ballistic missiles at a speed of Mach 5. 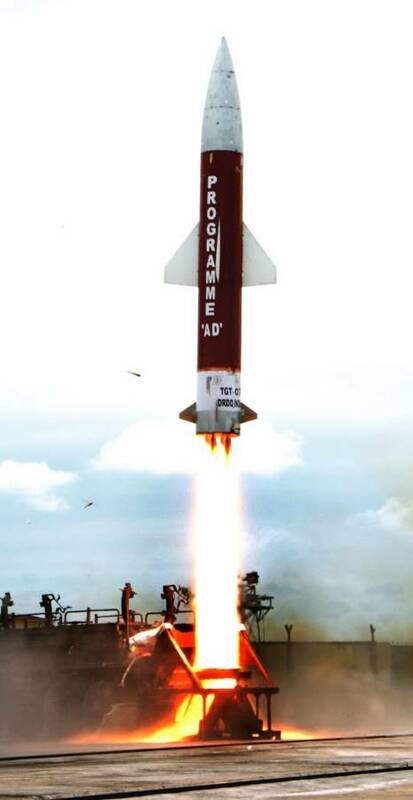 The advanced interceptor PADM weighs 5,200 kg and is armed with a "kill vehicle" which is equipped with a innovative system to allow the missile to maneuver. The "kill vehicle" has additional a small solid fuelled motor. 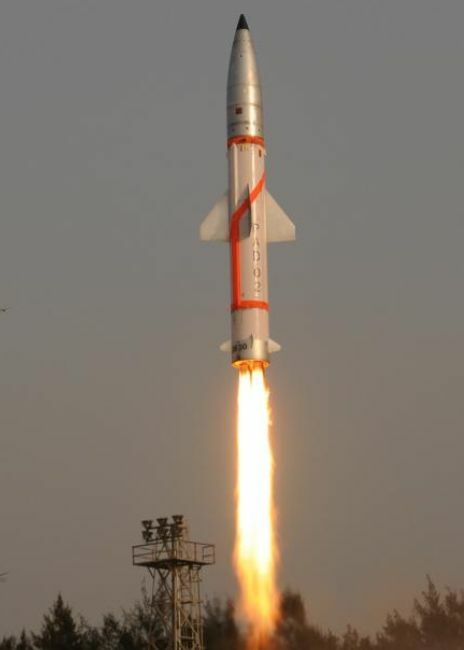 India has tested a new Exo-Atmospheric variant of Prithvi, the Prithvi-III Defence Vehicle (PDV) interceptor, capable of engaging ballistic missiles fired from distances up to 2,000 kilometers. The PDV is designed to destroy such targets outside the earth’s atmosphere. 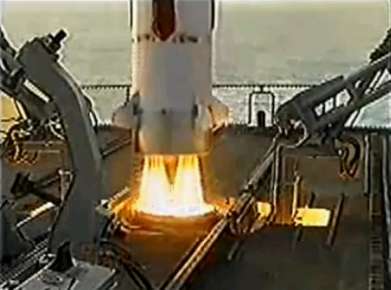 On the test that took place at the Wheeler Island, of the Orisa coast on April 27, 2015, the interceptor has destroyed its target at an altitude of 120 kilometers above sea level. 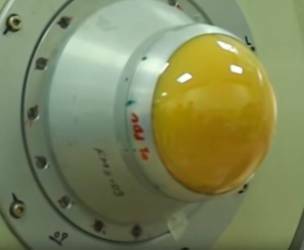 The demonstrated altitude has substantially surpassed that of previous Prithvi Air Defence (PAD) missile, which were performed at 75 km altitude. 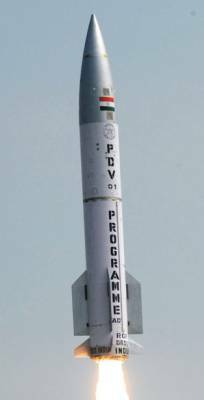 Both the interceptor and the target missile equipped with (solid fuel) motors had been specially developed for the PDV mission. 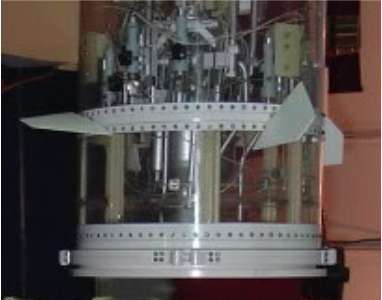 The target had been developed for mimicking a hostile ballistic missile approaching from more than 2,000 km away. After the target missile was fired, the radar-based system detected and tracked the ballistic missile. Soon after, the computer network, with the help of data received from radars, predicted the trajectory of the incoming ballistic missile and gave requisite command to fire the missile. The PDV interceptor uses inertial navigation guidance to establish the initial course to a position in space where it is expected to locate its target, at that phase an Infrared (IR) seeker acquires the target and updates the missile’s mission computer to guide the weapon to an intercept course. 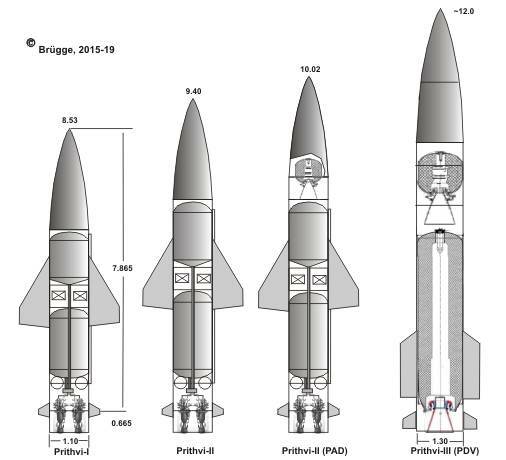 Powered by solid propellants, the two-stage PDV interceptor (diameter 1.30m, length about 11.9m) is fitted to an innovative system for controlling the vehicle at an altitude of over 150km, and is anticipated to replace the programme air defence (PAD) interceptor. 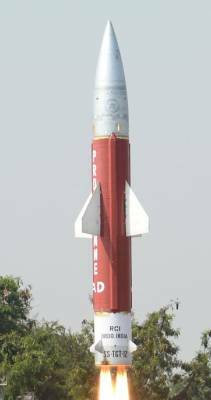 Note: The first stage solid motor has the same length and diameter as the first segment of the Agni-IIAT (Agni-IV).